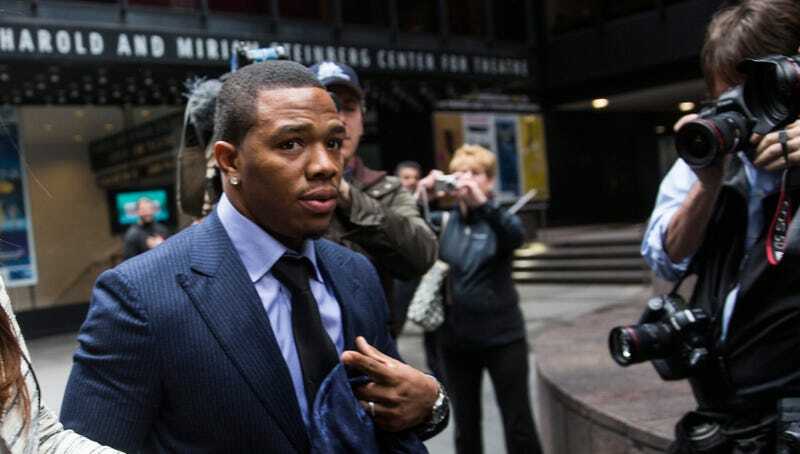 Officials from Don Bosco Prep High School in New Jersey have denied hiring former Ravens running back Ray Rice as running backs coach, which ESPN reported was happening earlier in the day. Football coach Mike Teel, who played football with Rice when the two were at Rutgers in 2006, and athletic director Brian McAleer both said Rice had not been hired, according to local newspaper the Record. Rice was at the school on Monday, but reportedly only to speak to the football team. The Record said he had been invited by Teel. McManus’s tweet is also cautiously worded, saying he hadn’t accepted any job offers there; it doesn’t say if he had been offered any jobs. Rice has repeatedly tried to resurrect his NFL career, which was cut short after he was caught on video punching his then-finance in the head in an elevator in 2014. He was originally suspended for two games, then suspended indefinitely, then reinstated, though no NFL team has been willing to come anywhere near him. Just two weeks ago, he said he wanted to play football again.